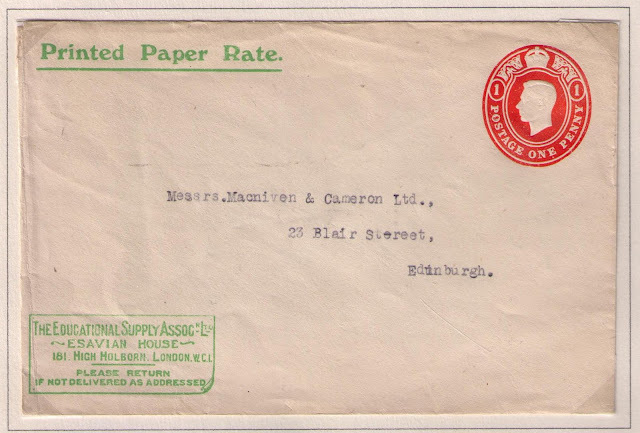 From 1855 to 1973, the Post Office permitted businesses and individuals to submit stationery, including printed sheets, for impressing with an imprinted stamp. 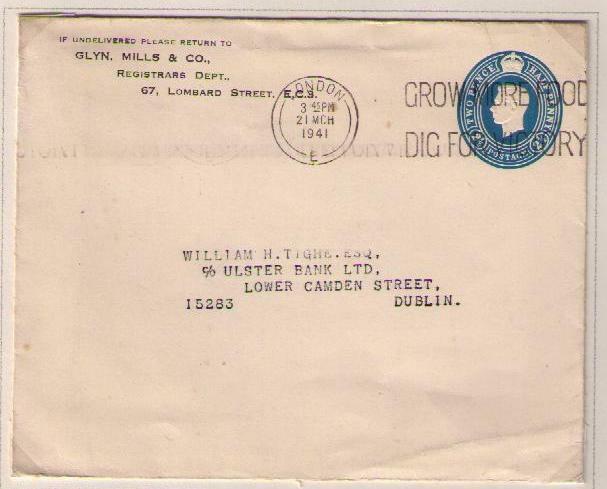 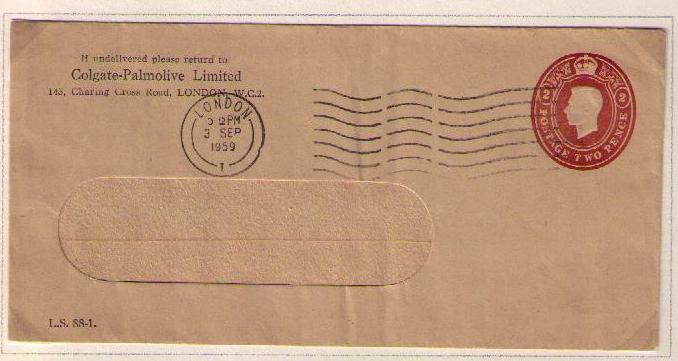 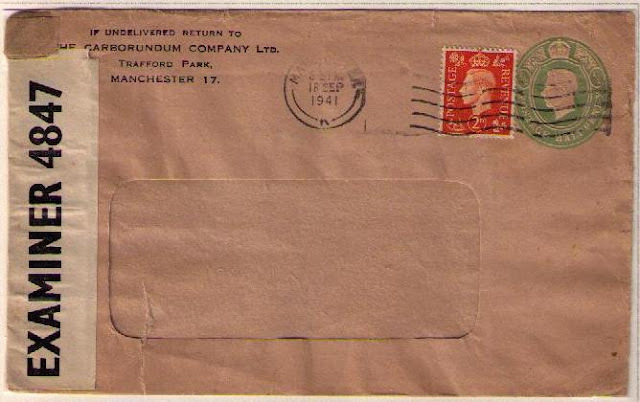 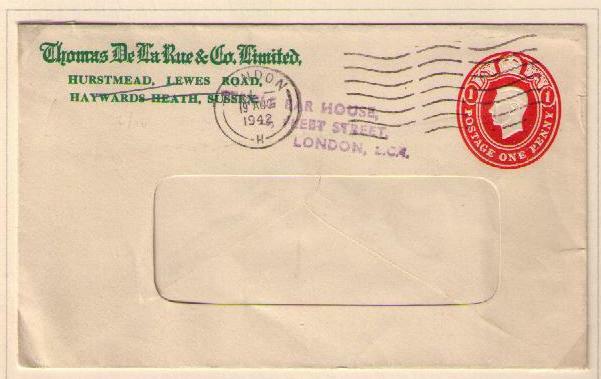 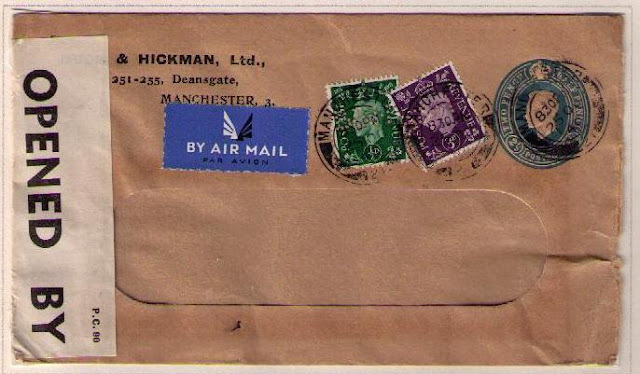 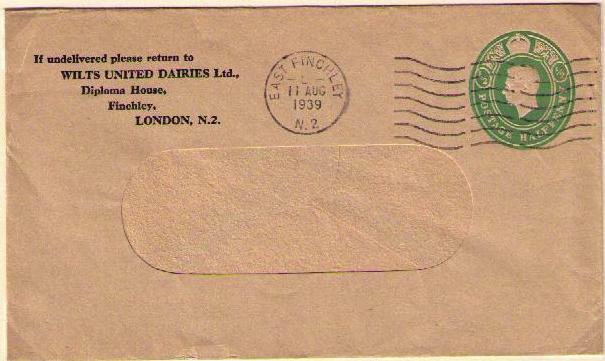 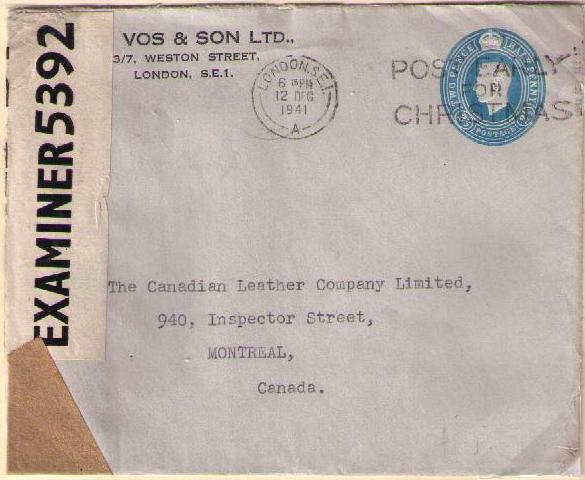 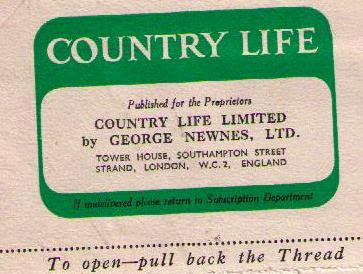 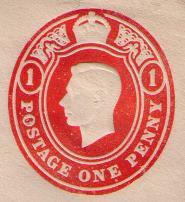 This article shows examples of stamped to order items produced during the George VI period. 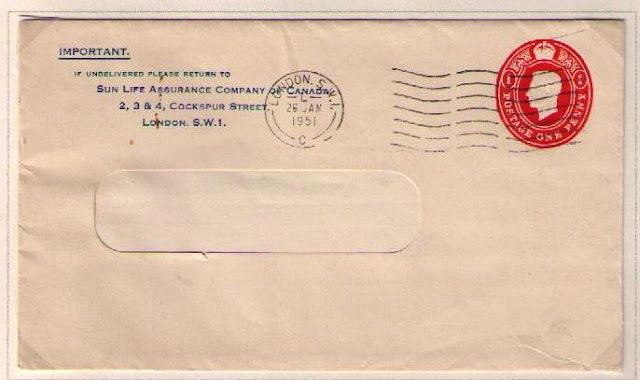 Designs of the low value definitives were created in case of emergency. 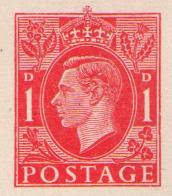 All low value GB stamps of George VI were printed in gravure by Harrison & Sons. 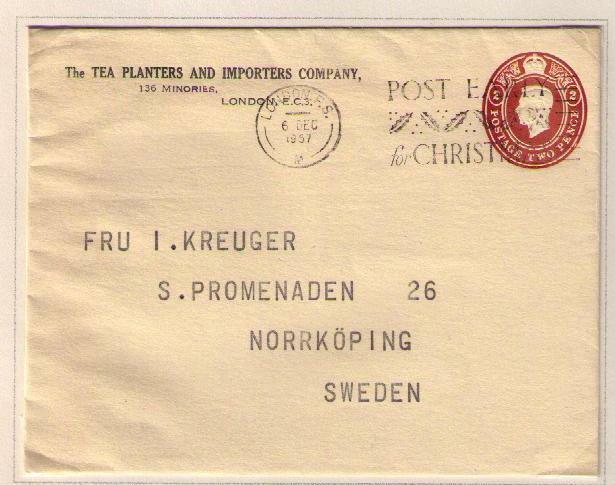 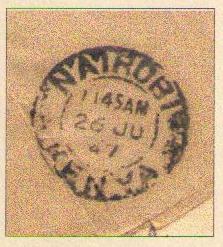 The Post Office was concerned that they were the only suppliers of gravure stamps. 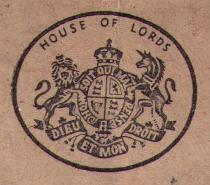 Designs were therefore created for letterpress stamps in case of emergency. 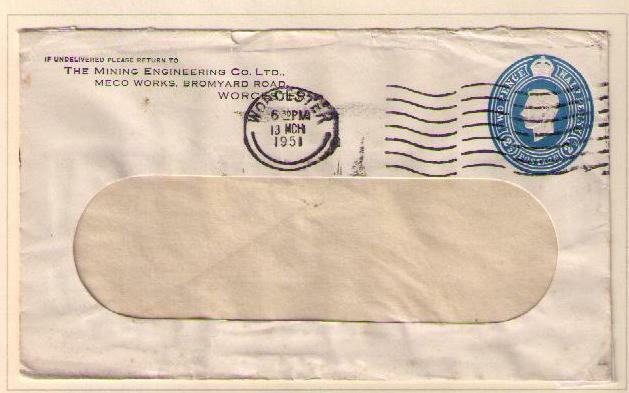 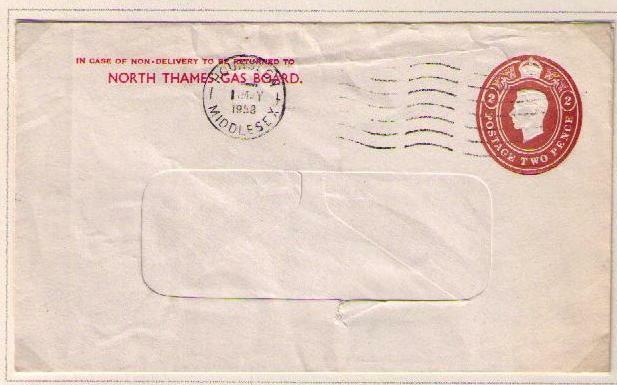 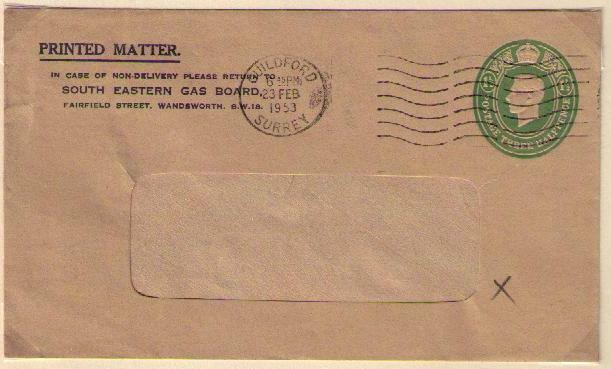 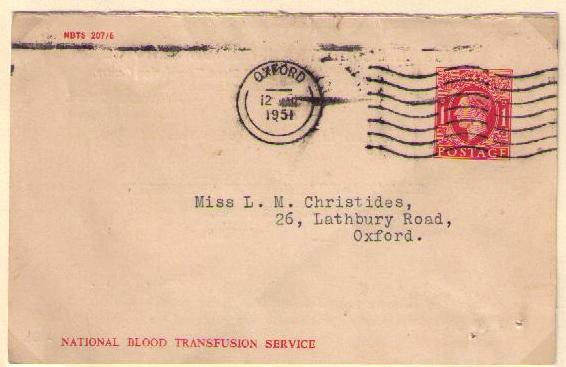 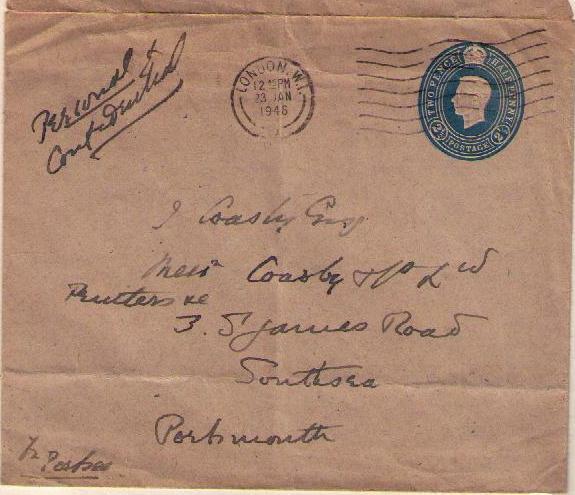 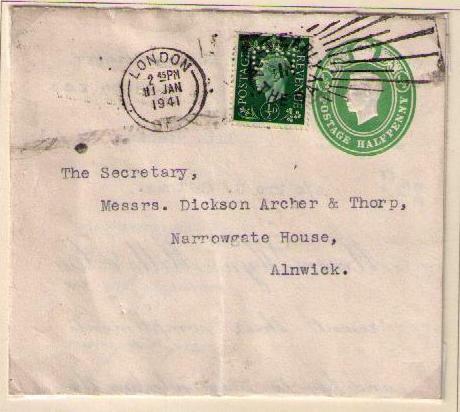 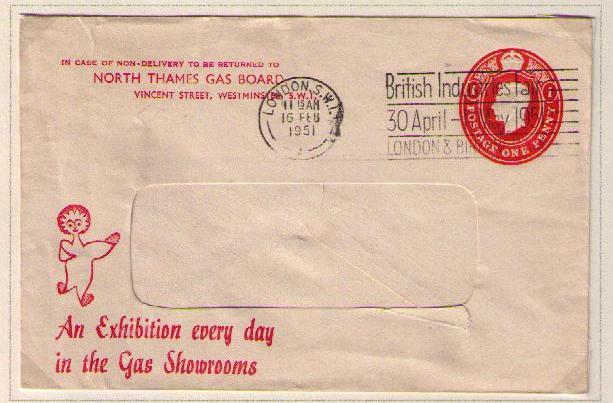 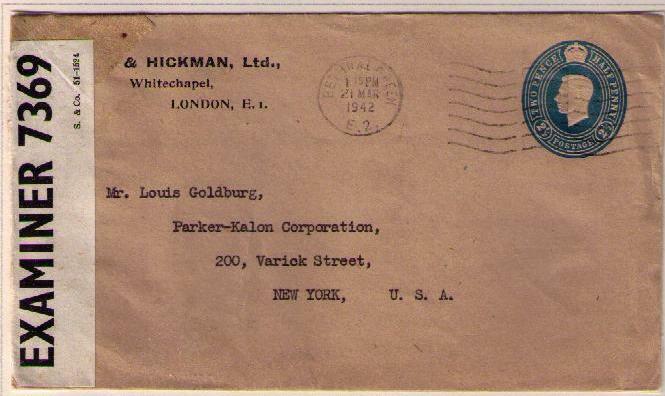 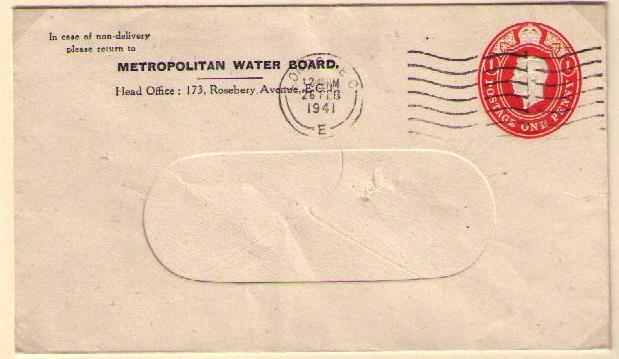 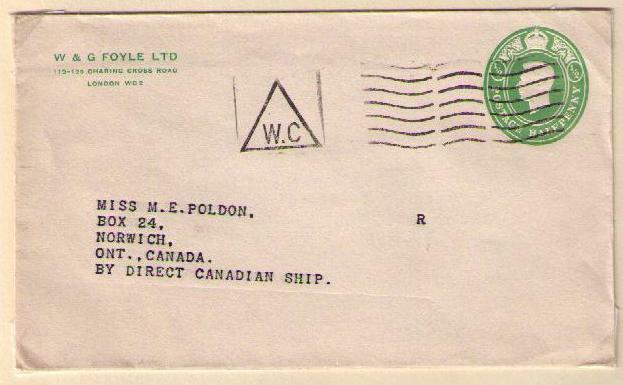 They were never issued, but the design was used for postal stationery.